Manually adding members to your site who need different user roles is a real time waster. With Membership 2 Pro, you can easily automate your site’s signups and enable visitors to sign up with a user role or custom capability. Membership 2 Pro comes with add-ons out-of-the-box that let you choose a user role or capability for your members automatically when they sign up. You can assign a user roles or capabilities to all your memberships and voilà, you won’t have to lift a finger the next time a member needs to have access to specific parts of your site. If you want your memberships with these assigned roles and capabilities to be private and by invitation only, you can do this, too, with one of the other included add-ons. When it comes to powerful and automated memberships and signups, you ain’t seen nothing yet. In this post, I’ll give you a more detailed rundown of what Membership 2 Pro can do for you and I’ll show you how to set up your own memberships with different user roles or capabilities. You can create four different membership types to cover any kind of site. You can create any kind of membership site you want with Membership 2 Pro. It’s intuitive and easy to use, flexible, and comes with payment gateways so you can accept both free or premium signups. You can set up free memberships or set a price for each of them. You can even set the premium memberships to be set up indefinitely, let them expire after a certain point, or set up a recurring subscription for some extra regular income. Standard – You can set free or premium subscriptions and hide selected content to visitors who aren’t logged in. Dripped Content – Content can be released a little at a time based on the dates you set and the membership can be free or premium. Guest – Only logged-out users can see the content you select for this membership so you could try to entice visitors to sign up without having existing members see it. 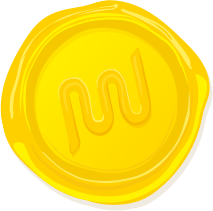 Default – This is a free membership level that you can have users sign up for by default to allow them to comment only or to give them some free content, for example, then prompt them to upgrade for more. There are also many popular payment gateways included out of the box including Stripe single and subscription, PayPal single and standard, Authorize.net, 2Checkout and manual payment gateways. Enable as few or as many add-ons as you want. You can also protect just about any content on your site from parts of pages to media, specific URLs, categories, a single or all posts, shortcodes and so much more. It’s also possible to offer free trials, coupons and invitation codes with the included add-ons to fully customize your memberships. Speaking of add-ons, there are over 25 of them from enabling VAT tax and pro-rating capabilities to custom registration fields and MailChimp, bbPress and BuddyPress integrations. Enable one or enable them all. It’s all up to you. Membership 2 Pro also has enhanced integration with our Affiliates, Custom Sidebars Pro, Events+, PopUp Pro and Appointments+ plugins to give even more flexibility for the type of memberships you want to setup. The Bottom line: Whether your site is big or small, Membership 2 Pro can handle it all. If you need to set up up memberships or restrict certain content to some visitors and not others, you can make it happen. What are User Roles and Capabilities? With Membership 2 Pro, you can also customize what members can see on your site right down to the user roles and capabilities that come with WordPress. WordPress lets you choose certain levels for different users so that they don’t have access to certain features such as deleting or editing other users’ posts. Each user role has access to certain capabilities which means there are pre-set actions that can be completed while other actions are blocked. Super admins have access to everything in a network and administrators have full range of their site, while on the other end of the spectrum, subscribers can only comment and can’t add, edit or delete posts and pages. User roles and their capabilities are an important part of WordPress because they can help prevent a user from accidentally completing an action that they shouldn’t do. For example, it wouldn’t make sense to let a visitor to your site sign up and be able to completely change your theme and plugins. WordPress’ user roles and capabilities help prevent that from happening. It was true for Spiderman and it’s also true for Membership 2 Pro. Since you can customize what members can have access to right down to the default WordPress capabilities, it’s possible to accidentally give not enough or too much access to a member. If you’re not sure of what any given capability actually does and you grant access to it, you could be allowing a basic member to edit pages or even memberships. On the flip side, if you’re too cautious, you could prevent members from accessing the content you want them to see or revoke access to commenting. Since the Member Capabilities and Admin Side Protection add-ons let you completely change the default capabilities that would otherwise come with a membership, it also means that any users not inside those memberships would have these capabilities revoked from them, even if they would otherwise have access to it by default. Even though you need to be cautious with these add-ons, the upside is you truly get to create any kind of membership site you want. You can also choose to make these kinds of memberships private and by invitation only. For more details on user roles and capabilities you can check out one of our other posts: WordPress Roles and Capabilities Explained (Plus Code-Based Tweaks). When you’re ready to setup your memberships with custom user roles and capabilities, start by installing and activating our Membership 2 Pro plugin onto your single or Multisite installation of WordPress. For full details on how to do this, check out our guides: Installing WordPress Plugins, Activating WordPress Plugins Network Wide and Activating and Deactivating Plugins on a Per Site Basis. When that’s all done, create all the memberships you need for your particular setup. You can catch all the details in our Membership 2 Pro usage guide and in our post Build an Online Community With WordPress and Membership 2 Pro. Once you’re all set up, go to Membership 2 > Add-ons and find the Admin Side Protection and Member Capabilities add-ons in the list. Depending o your needs, you can activate one or both of them and you can do this by clicking on the toggle button on the top right of each add-on. Enable the add-ons you need by clicking the toggle switch. The Admin Side Protection option lets you control the pages, tabs and even meta boxes that a user has access to in the admin dashboard. 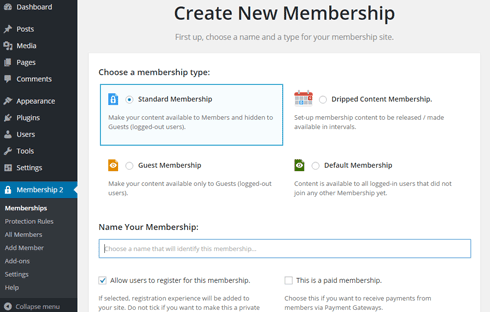 You can choose to let users in a membership type to create a new blog post or view all of them, for example. To choose the options for this add-on, go to Membership 2> Protection Rules and click on Admin Side in the menu on the left. Hover over one of the listed options to reveal the Modify Access link. You can modify the access of all tabs and pages in the admin dashboard. Click on it to choose a membership that should have access to this option in the admin dashboard. You can choose to assign a membership to as many of the dashboard pages as you need. You can choose one or all of your memberships to include access. Once you click one of the memberships, you should see it appear in a text-like field. You can click on the X next to the membership name to delete its access. You can also click on the empty part of the field to choose more memberships to provide access to the admin dashboard page. You can include as many memberships as you want – even choose all of them if you want. Even though all the regular user roles are affected, the admin roles aren’t for security reasons. You won’t have to worry about suddenly losing access to part of the dashboard when you’re signed in as an admin. When you enable the Member Capabilities add-on, you can choose the user roles for each of your memberships. For example, if you were to set the Contributor role to a membership made for bloggers you hire, you could let freelancers sign up to your site and automatically have access to writing and editing their own posts for you or a user with the Editor role to review and publish. In the advanced settings for this add-on, you can assign memberships access right down to the specific capability. If you wanted, you could set up a membership for your freelance bloggers and set up their capabilities to also let them publish their own posts which they normally wouldn’t be able to do by default. Click the Modify Access link to choose a membership to assign to this user role. Once you have enabled this add-on, go to Membership 2 > Protection Rules and click on the User Roles menu item on the left of the page. You can hover over a user role and click the Modify Access link that appears to select a membership so visitors who sign up automatically are assigned that user role. Just as with the Admin Side Protection add-on above, you can choose multiple or all memberships for a user role. You can even assign multiple user roles for a single membership if you want, but the admin user roles aren’t included on the list for security purposes. To customize memberships right down to the individual WordPress capabilities, go to Membership 2 > Add-ons and click the Details link on the bottom-right corner of the Member Capabilities box to reveal an advanced option. You can enable the advanced options for the Member Capabilities add-on. An inline pop-up should appear where you can click the toggle button to enable the Advanced Capability Protection option. Next, go to Membership 2 > Protection Rules and you should see the User Role menu item has changed to Capabilities. Similar to the other add-ons above, hover over one of the capabilities on the list to display the Modify Access button. Click on it to choose the memberships where you want members to have the capability you selected. The capabilities aren’t written in plain English so be cautious when selecting memberships for them. Choose a capability to add to a membership or search for one. You can also search for specific capabilities using the Search Capability box or navigate to each page with the pagination buttons on the top-right. Pagination and the search box is also included for the Admin Side Protection add-on settings page as well in case you don’t see what you want listed on the first page. Once your memberships are selected or unselected for any of the add-on options, all members will be automatically updated accordingly. Customizing the user roles for the members of your site is easy with the Membership 2 Pro plugin. You can grant or revoke access in just one click as well. When the add-ons included in this plugin are used responsibly, it can offer a huge range of possibilities for your site. Whether you’re running your own membership site or you just want more control over what your members can and can’t see, the Membership 2 Pro plugin can do it all. There’s also the User Role Editor plugin that’s available in the WordPress Plugin Directory if you’re interested in actually editing the capabilities for a default WordPress user role. For more ideas on what you could do with Membership 2 Pro, check out some of our other posts: Building Meetup.com with Events+ and Membership 2 Pro for WordPress, Spend Less Time Building, More Time Teaching With Membership 2 and CoursePress and Creating Automated Welcome Emails With Automessage and Membership 2. What kind of memberships do you have or want for your site? How could you see yourself using these add-ons for your site or network? Share your experience in the comments below. Thanks for your feedback! I’ve already passed it along and we’ll see what we can do. What is disappointing is that in changing the system the way you have from the orriginal “Memberships” system, the custom ‘user-role’ NAME is no longer passed on, just the capabilities of that user-role. By dropping the actual connection to the user-role NAME, wpmudev has basically eliminated a vital way to control other third-party plugins that are not normally controllable within Memberships Pro 2. When a subscription finishes, does the user role assigned to that user finish as well? When you use the Admin Side Protection Add-On to control what access a user has based on membership type, their user role would change when the subscription ends. The “After Membership ends” dropdown under “Payment options” allows you to either restrict the user’s access to Visitor level, or alternatively, assign them to another membership level (with whatever access you prefer) they will be moved to once their subscription ends.